What does it take to survive a zombie apocalypse? Zedtown will help you put your survival skills to the test. This time, players must fight each other across two colossal stadiums in a post-apocalyptic world. 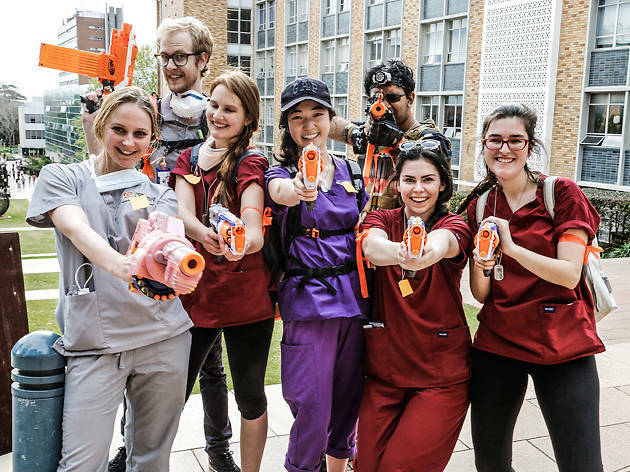 Armed with nerf dart blasters, players must fight for their lives against hordes of ambling zombies. This interactive event is more than just a game of running and shooting. There will be a call-in radio station on hand to provide up-to-the-minute updates and survival tips to players, and the Zedtown app helps players communicate and play the game. Plus, if you get 'turned' you have access to free make-up artists to help you look the part. Thousands of humans have been turned to zombies since Zedtown began in 2012. 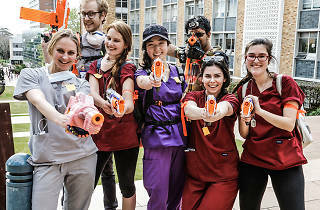 Find out insider tips from someone who, sadly, didn't make it out alive after the last event: How to survive a zombie apocalypse.